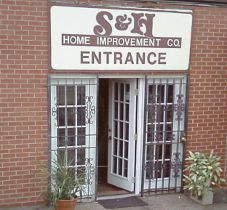 Located in Lakewood, CO, S & H Home Improvement is a family owned and operated company since 1958. Specializing in screens, reglazing, roofing, patio doors, storm doors, security doors, primary windows, storm windows and a huge selection of parts for all of the above. We have many referrals and an A+ rating with the Better Business Bureau (BBB). We look forward to working with you on your next home improvement project.